We understand the challenges of facing a federal investigation, in South Carolina and throughout the United States. Oberheiden, P.C. is proud to side with Palmetto State residents in federal litigation cases and federal matters. Our attorneys have made a name for themselves by building a career helping our clients keep or regain their freedom, their license, and their happiness. Don’t make the number one mistake. Do not hesitate, do not wait. Federal investigations don’t allow you to experiment or to observe. Hire lawyers that know how to be proactive and how to intervene and stop an investigation. Call Oberheiden, P.C. today and find out why your situation is not hopeless at all. Oberheiden, P.C. is unlike other law firms. A team of former Justice Department lawyers and senior defense attorneys are dedicated and ready to start representing you today. We don’t want you to be part of a federal case and our track record demonstrates that we have saved hundreds of businesses and individuals from civil or criminal prosecution. When you scroll through our list of attorneys, you will not find a single junior lawyer. Instead you will find veteran litigators, household names with excellent credentials. Federal Criminal Trials: Our attorneys obtained acquittals in federal cases, secured favorable bond decisions, and even convinced judges to dismiss federal indictments. To illustrate the point, dismissals in federal cases are extremely rare. Nonetheless, several of our attorneys have dismissed fraud charges, dismissed entire indictments, while others have convinced juries that our clients were in fact innocent. Examples include: tax fraud, mortgage fraud, Health Care fraud mail fraud, wire fraud, bank fraud, any form of drug case, Controlled Substances Act violations, embezzlement, racketeering, continuing criminal enterprise, murder, RICO charges, and others. Federal Subpoenas: The government likes to issue subpoenas. Subpoenas are an easy way to get to information and it does not even necessitate the approval of a judge. Whether your business received a subpoena from a Grand Jury in South Carolina or a subpoena from the Department of Justice, or a subpoena from the Department of Health and Human Services, Office of Inspector General– know that with Oberheiden, P.C. you have attorneys by your side that know how to avoid those mistakes many of our attorneys have observed by defense counsel when they were in leading positions at the Justice Department themselves. Regardless as to whether the subpoena investigates a Controlled Substances Act case, a Health Care fraud violation, or any other federal allegations, do not simply produce requested records. Talk to our attorneys at Oberheiden, P.C. first to discuss a proven approach how to make sure you are not merely given the government the information sufficient to prosecute you or expand its investigation. Do not wait if you have any reason to suspect that you or your business may be the target of a federal subpoena or probe. Call Oberheiden, P.C. before federal agents try to interview or arrest you. Call a senior defense attorney today, including on weekends! What Cases Does Oberheiden, P.C. Handle in South Carolina? How Many Federal Cases Have You Handled Resulting in No Charges, Acquittals, or Dismissals? How Much of Your Practice Is Dedicated to Federal Cases? Who Exactly Will Represent Me If I Hire Your Firm? South Carolina is known for its rigid enforcement of federal law. If you find yourself in a situation with the federal government, experience and a sound legal strategy are key. Oberheiden, P.C. only employs proven, senior attorneys who have made federal litigation and defense work their career goal. In an encounter with the U.S. Justice Department or the FBI, when everything is on the line, you need true experience and litigation skills you can count on. You simply won’t get a second chance. Call the experienced federal criminal defense attorneys at Oberheiden, P.C. today, including on weekends, and immediately speak to a senior attorney for a free consultation. 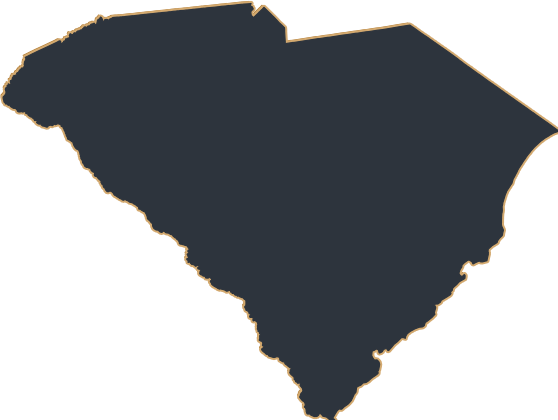 South Carolina is divided into different federal districts. The Palmetto State is part of the United States Court of Appeals for the Fourth Circuit (in case citations, 4th Cir.). In the United States District Court for the District of South Carolina (D.S.C), federal prosecutors are tasked to enforce federal law on behalf of the U.S. Department of Justice. There is only one federal district in South Carolina, which covers the entire state. This district locates federal courthouses as well as branches of the Department of Justice, so-called U.S. Attorney’s Offices. The U.S. Attorney’s Offices employ federal prosecutors, also referred to as Assistant United States Attorneys (AUSA). The United States District Court for the District of South Carolina covers the counties of Abbeville, Aiken, Allendale, Anderson, Bamberg, Barnwell, Beaufort, Berkeley, Calhoun, Charleston, Cherokee, Chester, Chesterfield, Clarendon, Colleton, Darlington, Dillon, Dorchester, Edgefield, Fairfield, Florence, Georgetown, Greenville, Greenwood, Hampton, Horry, Jasper, Kershaw, Lancaster, Laurens, Lee, Lexington, Marion, Marlboro, McCormick, Newberry, Oconee, Orangeburg, Pickens, Richland, Saluda, Spartanburg, Sumter, Union, Williamsburg, and York, and it hosts federal courthouses and U.S. Attorney’s Offices in Aiken (223 Park Avenue S.W., Aiken, SC, 29801), Anderson (315 South McDuffie Street, Anderson, SC, 29624), Charleston (Meeting Street at Broad Street, Charleston, SC, 29401), Columbia (901 Richland Street, Columbia, SC, 29201), Florence (401 West Evans Street, Florence, SC, 29501), Greenville (300 East Washington Street, Greenville, SC, 29601), and Spartanburg (201 Magnolia Street, Spartanburg, SC, 29306). How Should I Proceed When I Am Under Federal Investigation in South Carolina? If you have reason to believe that you or your business or a business affiliate of yours is on the government’s radar in South Carolina, you have no time to wait. Visit with an attorney right away. But, be careful. Not every attorney is a federal attorney. Do not rush to a decision you might regret later. Make sure your attorney has the specific knowledge and experience needed to protect your freedom. The former federal prosecutors and former Justice Department officials of Oberheiden, P.C. are available, including on weekends, to discuss your situation– free of charge and absolutely confidential. How Do I Know I Am Under Federal Investigation in South Carolina? Some signs are obvious (perhaps you have received a target letter, grand jury subpoena, or your office has been raided by FBI agents), while many people first learn about a case that might involve them through rumors. Such rumors can create great anxiety. Many people contact Oberheiden, P.C. to get our opinion and assessment as to how credible the rumors are, how much exposure exists, whether the expected investigation is civil or criminal in nature, whether they will go to jail, and other important questions. If these are your concerns as well, call Oberheiden, P.C. today. Let’s discuss your situation and let’s find out together what steps need to be taken to avoid exposure or liability. What Is the District of South Carolina? There are 95 federal districts across the United States. The (federal) District of South Carolina is headquartered in Charleston, SC and has a reputation of aggressive law enforcement. Consult with accomplished attorneys today to protect yourself and your business from government intrusion. Don’t take a chance on losing your very freedom and way of life. Our experienced attorneys will lead you through the process and help you defend yourself from allegations. Could FBI or DEA Agents Come to My House – What Should I Do? It is very possible that federal agents from the Federal Bureau of Investigation (FBI), the Drug Enforcement Agency (DEA), or others could question you at your residence or place of work. Unexpected interviews are a very common investigative tool. When this happens to you, keep in mind that it does not matter whether you are innocent or not, whether you feel you have nothing to hide. At the end of the day, you must keep in mind that if agents are looking for you, that means they believe you have something to do with a pending federal investigation. Do not take the risk of speaking to federal agents without a competent attorney present who understands all of the important facets of federal law. According to the federal law 18 U.S.C. 1001, misinterpreting, lying, or outright concealing information from federal agents can constitute a federal felony. If federal agents come to your house, call Oberheiden, P.C. right away. The answer to that question depends on many factors. At Oberheiden, P.C., our priority is always to avoid criminal liability. We don’t want you to be arrested, we don’t want you to be charged, and certainly don’t want you to go to jail. In over 90% of all federal criminal investigations we accomplish that goal. If you contact us with your South Carolina case after you have been charged with a federal offense, then you are subject to the Federal Sentencing Guidelines (FSG) if you plead guilty or get convicted at trial. Federal judges will take the FSG into consideration when deliberating their sentence. Oberheiden, P.C. has obtained probation even when the FSG recommended years of incarceration. Call us today and see how we can help you with your case. What Questions Should I Ask My South Carolina Attorney? Selecting the right South Carolina criminal defense attorney may be one of the most important things you do in your life. Federal court is not juvenile court. Harsh sentences, skilled prosecutors, and zealous federal agents don’t allow you to be your lawyer’s test case. If you lose, you could spend years or decades in federal prison. The right strategy develops from experience, not from experimenting. Make sure your lawyer gives you specific answers to questions such as: Of your last 100 federal criminal cases, how many ended up with no charges? Of your last 100 federal criminal cases, how many of your clients ended up in jail? How many cases similar or identical to mine have you handled in your career? When Should I Call a South Carolina Federal Attorney? The safest thing to do is to contact a South Carolina criminal defense attorney the moment you have reason to believe that you or your business are (or could be) under investigation. Typically, this awareness develops out of rumors or a written notice such as a target letter or a grand jury subpoena notifying you about an investigation. The sooner you act, the faster your attorney can intervene, and the easier it is to convince the government to end its investigation. The DEA Raided My Office: What Now? South Carolina and other states along the east coast experience an unprecedented number of DEA search warrants against doctors and pharmacies. If you are in the business of prescribing or filling opioids, please call Oberheiden, P.C. right away. In order to obtain permission for a search warrant, the government must convince a federal magistrate judge that probable cause exist that you committed a crime. In other words, a judge is involved. Oberheiden, P.C. attorneys know that the false strategy can lead to a federal indictment within weeks or months. Our attorneys are proactive, they immediately reach out to the government and initiate proven, effective defense tactics. The goal must be to take control of the case and to intervene into the prosecutor’s investigation. Let us work for you and let us reveal and analyze weaknesses and strengths of the government’s case to put it to rest—and that method has worked plenty before! Can I Switch Lawyers to Oberheiden, P.C.? If you believe that a second opinion, especially from a firm with a proven federal litigation history, could be beneficial, call us today. Our lawyers will provide you with trusted and confidential advice about your situation. If you decide that you like our approach and strategies, we can take over your case in a matter of hours. Experimenting in a federal investigation against you or your business is not a good idea. At Oberheiden P.C, all of our attorneys have years of federal litigation experience provide innovative ideas to our clients. Over decades, we have defended numerous South Carolina citizens and businesses, including lawyers, physicians, business owners, entrepreneurs, and many others. A legacy of federal litigation experience is what we take pride in at Oberheiden, P.C. You plan for your future, so be sure to call us today to get a confidential and fast assessment of your legal situation. Call 305-928-8505today.